Everything You Need to be a PPA Affiliate Can be Found Here! Affiliate Handbooks: Learn everything you need to know and keep it in one, easy place. Affiliate Logos: Share your connection with PPA and post the appropriate logo to your website! 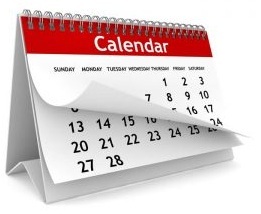 Add an Affiliate Event on the PPA calendar: If you'd like to list your affiliate event on our calendar, please contact us with details of the event. Be sure to include the date, price, contact info, website and any other additional info in your email. New Prospect List Use the mailing addresses of our most recently added PPA members. For each local, state, or regional affiliate, you will find various request-type forms. Search below and download the form that suits your needs. Simply complete them electronically and email them to merits@ppa.com. Learn How to Network on LinkedIn with Donna Serdula on PPAedu Live Today at 2PM EST ! Networking is not a dirty word. As creative entrepreneurs, it can be difficult to balance what you love doing with what you don’t, especially when it comes to networking. The World Photographic Cup, LEGO Portraits of Your Face, and Improving Your Photographic Eye: Our Top Blog Posts From February 27 - March 3!